Every piece of audio equipment introduces signal delays—there are no exceptions. If the delay is the same across the entire operating frequency spectrum (typically 20Hz to 20kHz) then the piece of equipment is said to be in linear phase. This is a highly desirable property because it preserves information about the tonal characteristics of the instruments and voices, and about the location of instruments and voices in the phantom acoustical scene. It also preserves information about the acoustical ambience of the room in which the recording was done. Unfortunately, different parts of the operating frequency spectrum are delayed by different amounts whenever the audio signal is processed by equalisers, compressor/limiters, amplifier tone controls, loudspeakers, and so on. These phase non-linearities are a known form of audio distortion. Loudspeakers introduce more such phase distortions than any other component in the audio reproduction chain. It was previously thought that the only way of achieving linear phase with loudspeakers containing analogue crossovers was to remove the phase non-linearities in the digital domain. 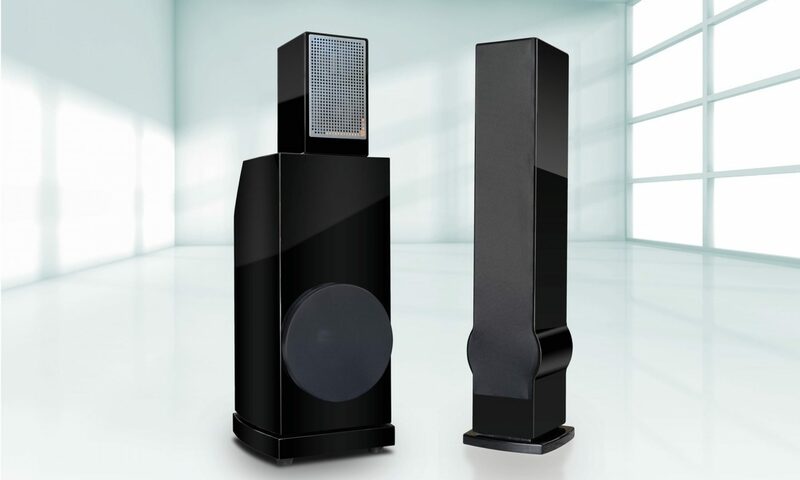 The Voicebox S is proof that it is possible to design a loudspeaker that is very close to being in linear phase without using digital crossovers and digital signal processing to correct for phase non-linearities. Some speaker designs use time-aligned drivers, where the lower frequency drivers are positioned slightly closer to the listener than the higher frequency drivers. Unfortunately this only corrects for phase timing differences at a single frequency, and at a single position (wherever the measurement microphone was placed). Even loudspeakers that are claimed to be “phase-corrected” aren’t really because (once again) this is in reference to a handful of frequencies measured by a microphone at a fixed position. How else can a loudspeaker’s phase correctness be measured across the entire operating frequency spectrum? Simple — subjective listening! And what do we listen for? Stereo imaging accuracy and tonal envelope accuracy. Mastering engineers have long known that maintenance of linear phase was the only way to get the best stereo imaging and faithful reproduction of the entire acoustical envelope of an instrument or a voice. Get stereo imaging and the tonal envelope right and everything else falls into place. Voices and instruments become sharply focused in the phantom acoustic scene, and they exhibit body and weight in three dimensions. We bring reality closer to you! Most speaker stands are made of metal, with hollow uprights that must be filled with sand or lead shot to prevent them from ringing. The result is stands that are heavy, and often expensive. The Voicebox S Floor-stand is made from three pieces of precision-cut wood that have been joined together and then beautifully finished in metallic-look paint. The stand is light yet sturdy, and most importantly is acoustically inert because of the three-piece construction.